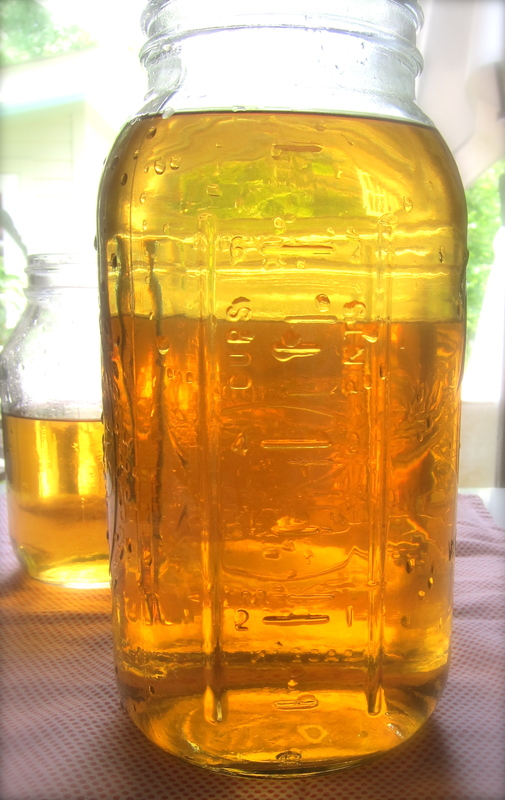 Again it is time to bottle up my next batch of limoncello that has already steeped in lemon peel, been strained, had a simple syrup added and has been in a closet for over 3 weeks with the flavors melding! 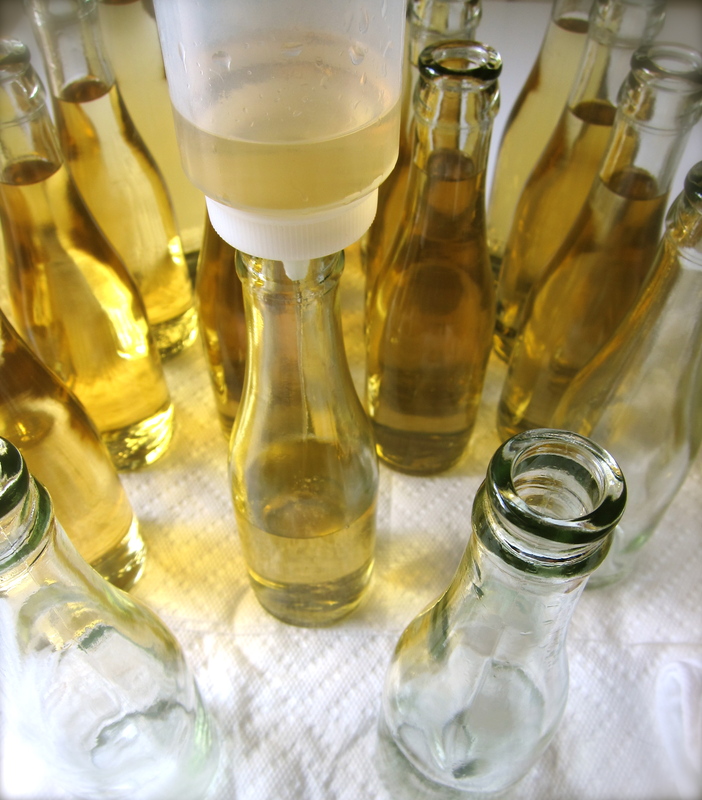 This is my 3rd year for making limoncello. Each batch has been a little different from the last, but they have all been very good. 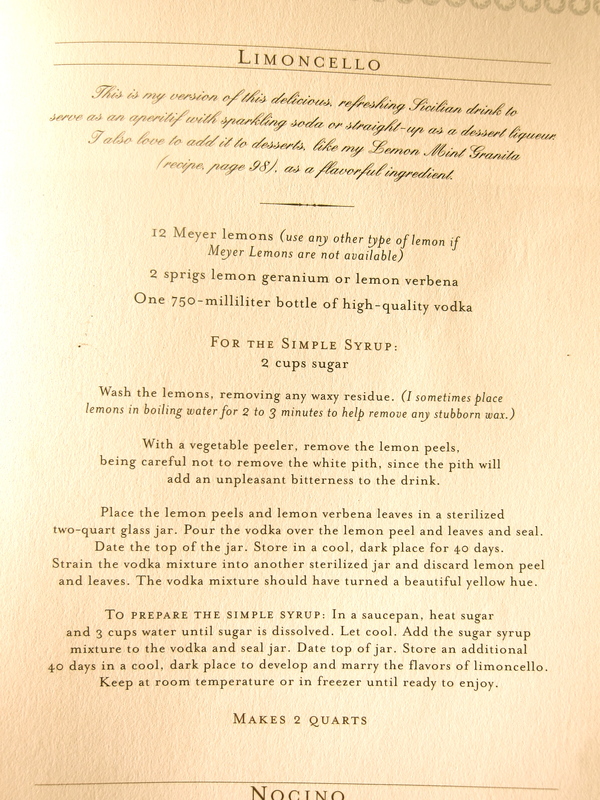 I attribute the deliciousness to the quality of the lemons and the simplicity of the recipe(s) I have been using. 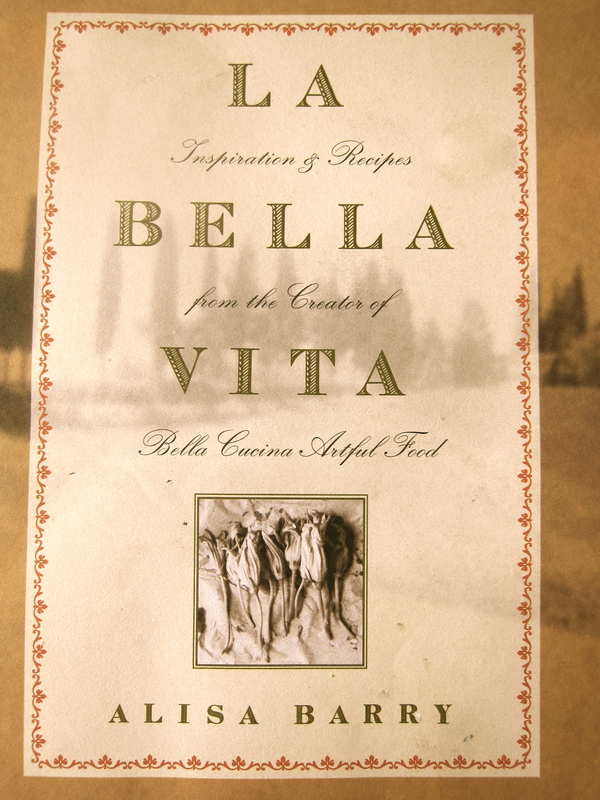 I am done much experimenting, but always use as the base recipe the one I found a few years ago in this book…. 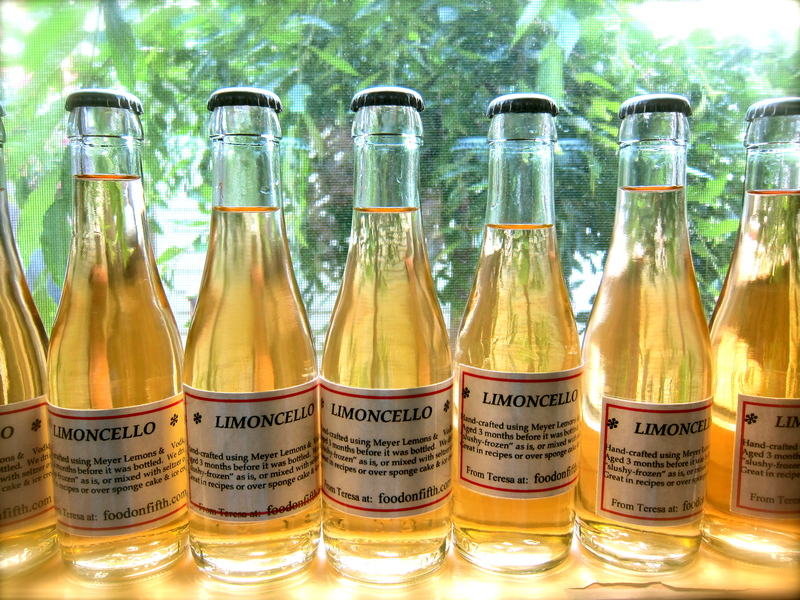 The Limoncello recipe in this book is similar to many you can find online or in other cookbooks, but this was the one I ran across when I made my first batch which turned out so well that I have stuck with it over the years. This is the recipe I use…….. Sometimes I use Meyer Lemons, sometimes other lemons, always yummy! 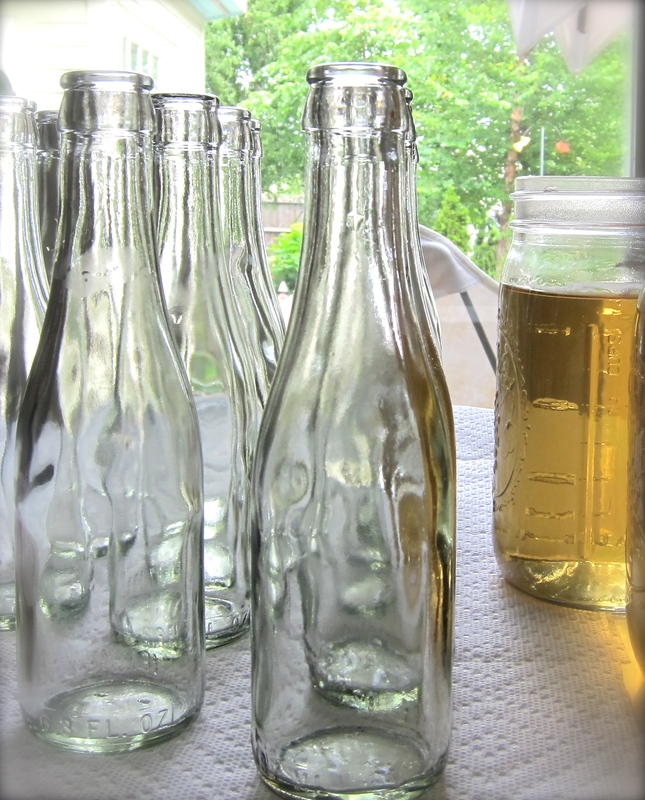 Bottles washed, rinsed & dried……. I got this nifty red bottle capper at All Season’s on 8th Avenue So. here in Nashville along with the bottles & caps. 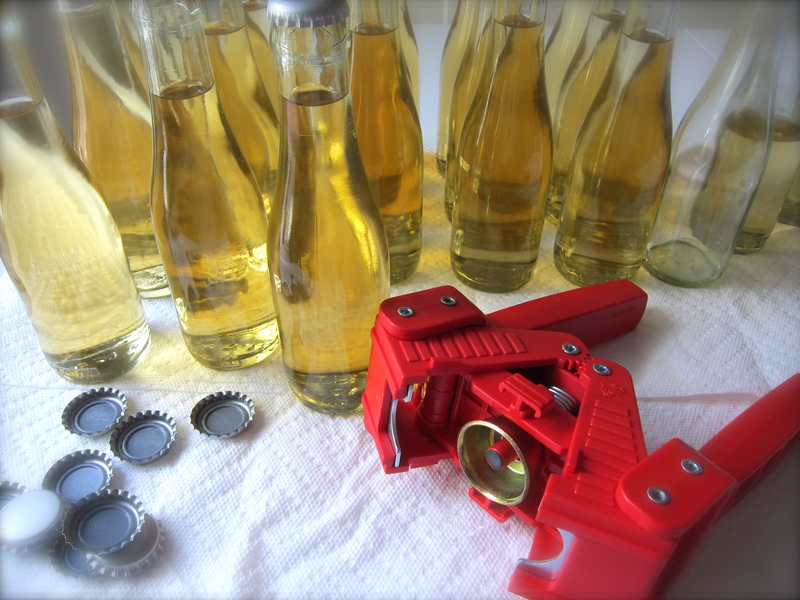 All were really inexpensive and made the process of bottling much more streamlined. 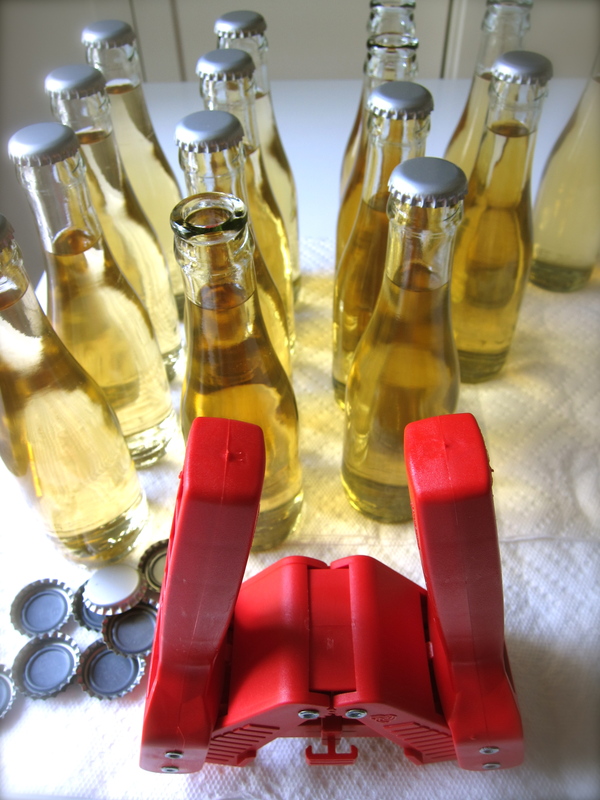 No more searching for miscellaneous bottles with matching caps that leaked! 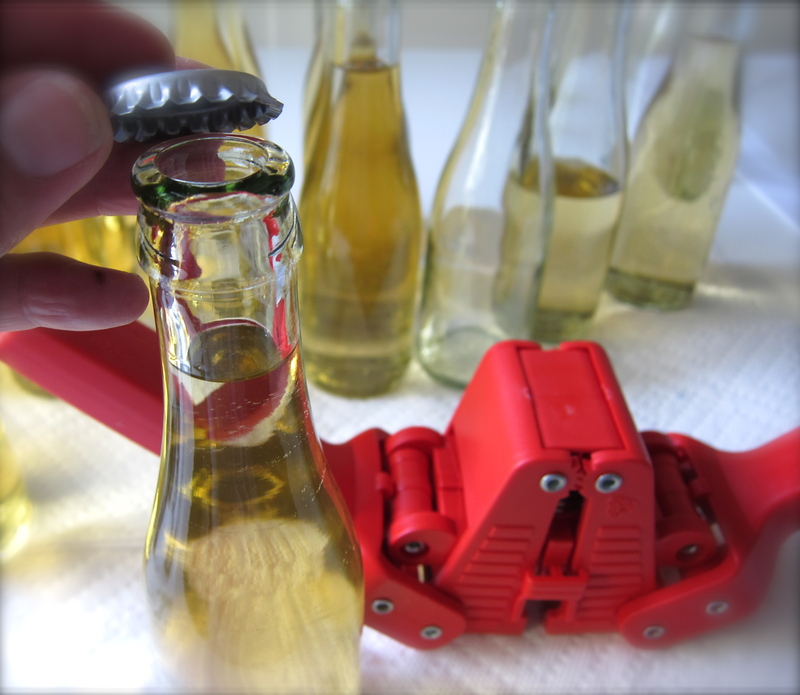 I bought this capper with the help of Jennifer who knows just about everything there is to know about bottle cappers and such! She said it would work great and it did. Very simple and easy to use. I felt so professional! Ready to drink and give away. We like it chilled or frozen & slushy! Salute! < Previous July 4th, 2010…. Yum!!!! Where is my bottle? Woo-hoo! 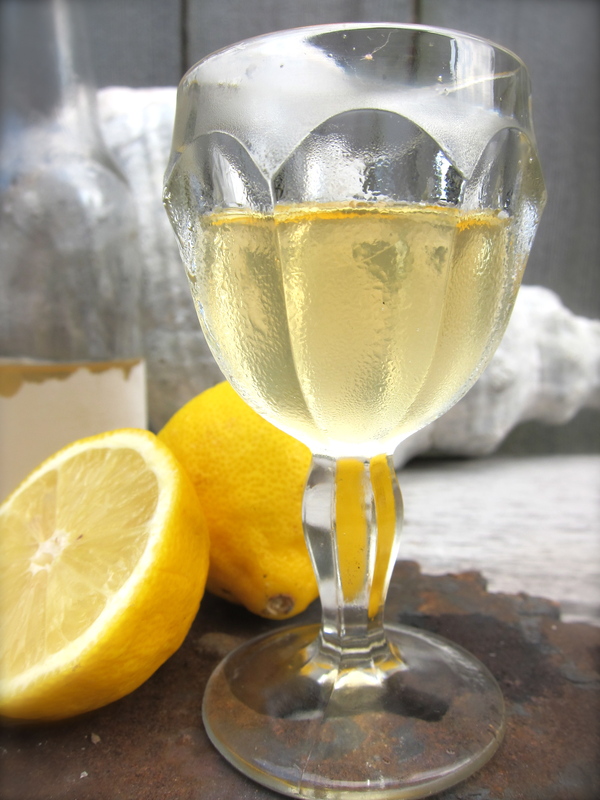 I love your Limoncello—and love that each year you have found some way to make it better—-so cool about the bottle capper…. Love all your blogs, this one really grabbed me. I was introduced to this flavor by a client who travels to Italy a couple of times each year. 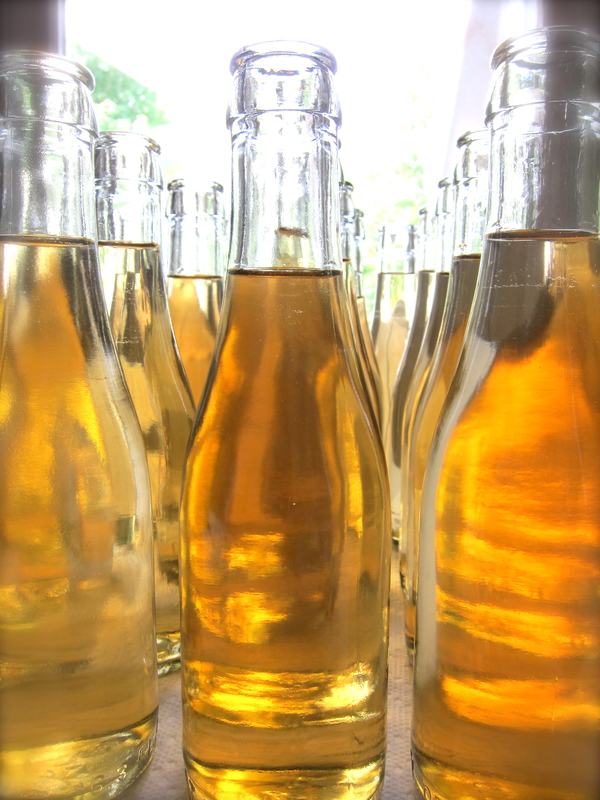 To be able to make my own is exciting, to learn about the ease of bottling for gifts is a bonus. Thanks for the love and joy you always bring in photos and words to the celebration of food. What lovely gifts. You make it look so easy. And delicious. 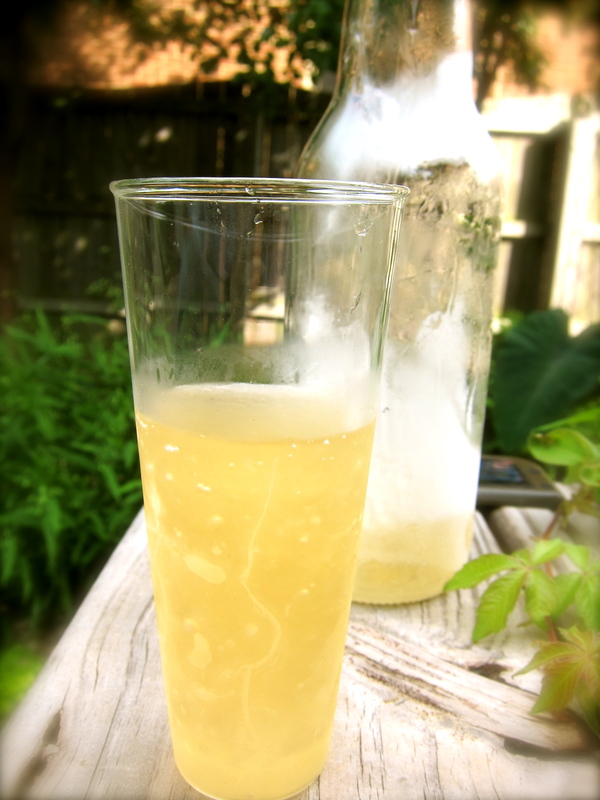 If I get to feeling adventurous later this summer, I’ll give this recipe a try! Pingback: “Meyer Lemon & Dried Cranberry Marmalade” Holiday Gift / E.A.T. #13 | "food on fifth"